Back in the day, the first truly great loudspeakers I ever owned were the Quad ESL-57 electrostats and ever since I’ve viewed the brand with respect and even reverence. Frankly, those loudspeakers were so far ahead of their time that it took decades for electronics and source components to catch up. Fast-forward to the present day and Quad is trying to recapture the singular magic of the ESL-57, this time with its first-ever headphone, the planar magnetic ERA-1. 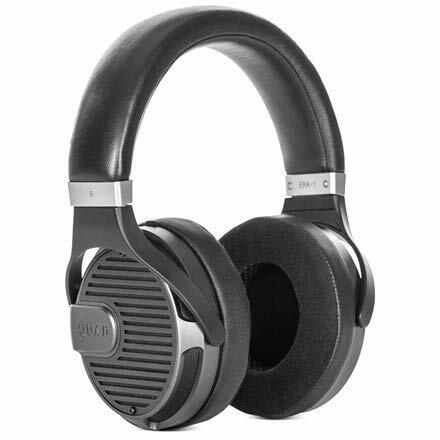 The ERA-1 enters a marketplace crowded with moderately priced, high quality, planar-magnetic headphones, which raises several questions. 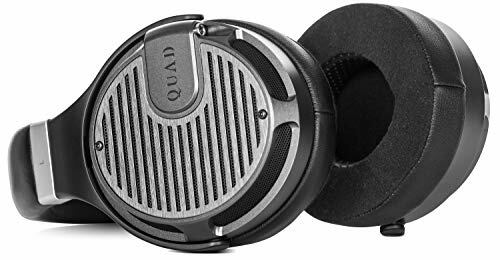 First, can the ERA-1 distinguish itself in a market populated with competitors such as Audeze, HiFiMAN, MrSpeakers, and others? Second, can the ERA-1 build upon and enhance Quad’s reputation for sonic excellence? The ERA-1 is beautifully made with tasteful matte silver-grey ear cup housings and matching slotted rear covers, both accented with black perforated metal mesh vent screens. 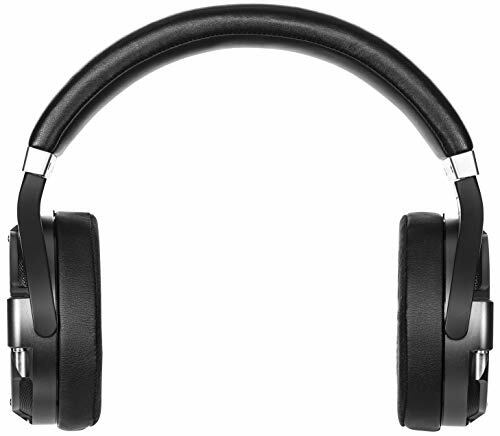 The top strap of the headphone has a leather-clad pad, while the swivelling, ride-height adjustable ear cup yokes are finished in matte black. 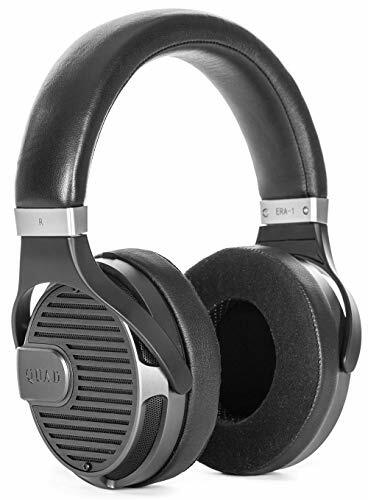 The bottoms of the ear cups feature connection jacks for the detachable, high quality, fabric-jacketed signal cables included with the headphones. Other accessories include a hard shell carry case and a gold-plated 3.5mm-to-6.35mm adaptor plug. Completing the picture are two sets of ear pads. One set is shallow and features leather inner and outer rims with textile touch surfaces; the other is considerably deeper, bevelled from back to front, and features perforated leather covers on all surfaces. Our review sample came with the shallower pads installed, but brief experimentation quickly revealed that the thicker pads helped unlock much more of the headphone’s sonic potential. While perhaps not the disruptive technology the electrostatic loudspeaker proved to be, the Quad ERA-1 is still a very special performer indeed. Straight out of the box, the headphone showed considerable potential, yet initially seemed somewhat ‘opaque-sounding’. However, after about 70 hours of run-in the ERA-1 ‘s opened up beautifully, at which point several key sonic attributes stood out. First, the headphone exhibited powerful yet also extremely articulate bass, with an excellent combination of impact and pitch definition. Listen to the deep snarl of the bass and thwack of the kick drum on Billy Idol’s ‘Prodigal Son’ [Prodigal Son, Chrysalis] to hear what I mean. Some might feel the bass is elevated in level, but it is presented in such a tasteful, musically uplifting manner that I think many will embrace it over a strictly neutral sound. Second, the ERA-1 has wonderfully well defined, nuanced, and revealing mids and highs, especially relative to the norms for its price class. Many models in this class are either bright sounding (to simulate ‘’detail”), or else dark-sounding and slightly softly focused (to convey “richness”), but the ERA-1 instead hews toward a more satisfying and accurate middle path. To appreciate how this plays out in musical terms, listen to the hauntingly beautiful ‘Nublado’ from Sera Una Noche’s eponymous album [MA Recordings], ‘Nublado’ is a mesmerizing Candombe (a tango-like Afro-Uruguayan dance) that features delicate, shimmering percussion and the solo voices of a guitar, cello, bandoneon, and wind instrument(s). In every case, the ERA-1 deftly captures the defining tonal colours and textures essential to each instrument’s voice, not to mention the reverberant acoustics of the recording venue. Is the ERA-1 the headphone equivalent to Quad’s ESL-57 speaker? It certainly captures the ESL-57’s uncanny transparency, but in many respects I think the ERA-1 actually surpasses its illustrious predecessor. The ERA-1 offers better and deeper bass, equally subtle mids but with sharper transient attacks and broader dynamic capabilities, plus highs that consistently impress with their extension, clarity, and delicacy. In short, the ERA-1 now stands as one of the finest attainably-priced headphones that money can buy. 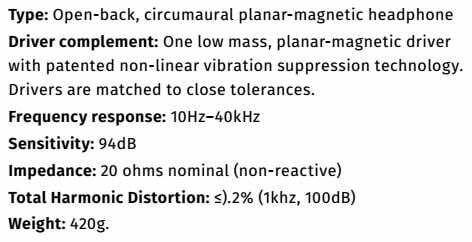 Voicing: Essentially neutral with rock-solid low bass.Some might perceive hints of upper midrange and treble forwardness, but this occurs only when the ERA-1 is compared with darker and softer-sounding headphones (of which there are many). Enjoy smooth, transparent sonics distinguished with excellent transient responsiveness, magnet-like detail, proper tonal balance, and an involving midrange. 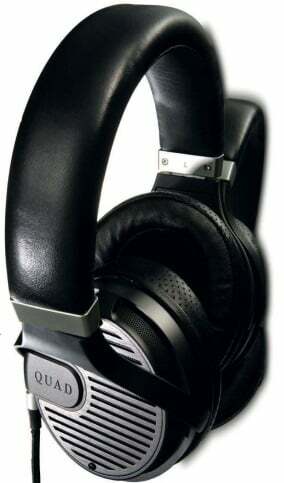 The Quad ERA-1 Planar Magnetic Headphones are the first ever headphones from world renowned Hi-Fi specialists, Quad. Using planar magnetic technology to deliver a stunningly high end sound that is open and natural, the ERA-1 Headphones offer unrivalled audio.